I have recently discovered a new Superdrug on Oxford Road in Manchester. I wasn’t looking for it and I tried to resist going in but I couldn’t help myself. I had picked up some raccoon finger-less gloves for £1.50. I think they are for kids but they are very sweet and I can’t find my usual gloved. I can leave these in my bad so I always know I have some. I also picked up another set of the L’Oreal Extraordinary Clay shampoo & conditioner as it was on offer at £1.98. I’ve been using this for a while and it works well for my hair. I find I can get away with washing it less and it feels in good condition. The other things I picked up are all new to me and I thought I’d share what I’ve bought. 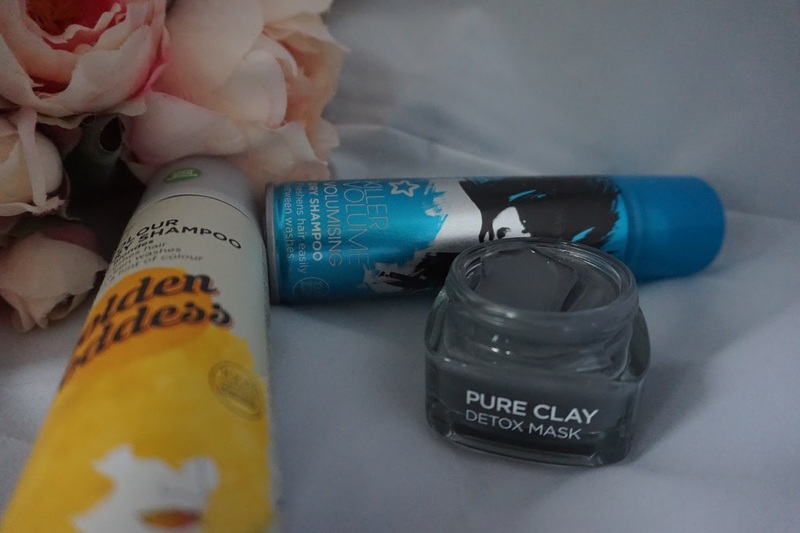 L’Oreal Pure Clay Detox Mask – I’m a huge fan of this range of face masks from L’Oreal. I’ve used the two others from the range which are glow and purity. Both are really nice. The glow one has exfoliating partials and the purity mask has mattifying properties. The Detox mask is meant to clear out the skin. I’ve always liked charcoal masks and I’m looking forward to trying the detox mask. Superdrug Golden Goddess dry shampoo – This is a dry shampoo for blonde hair. I’ve been gradually going lighter over the past few months and I thought for £1.99 (and buy one get one free) it was worth trying. 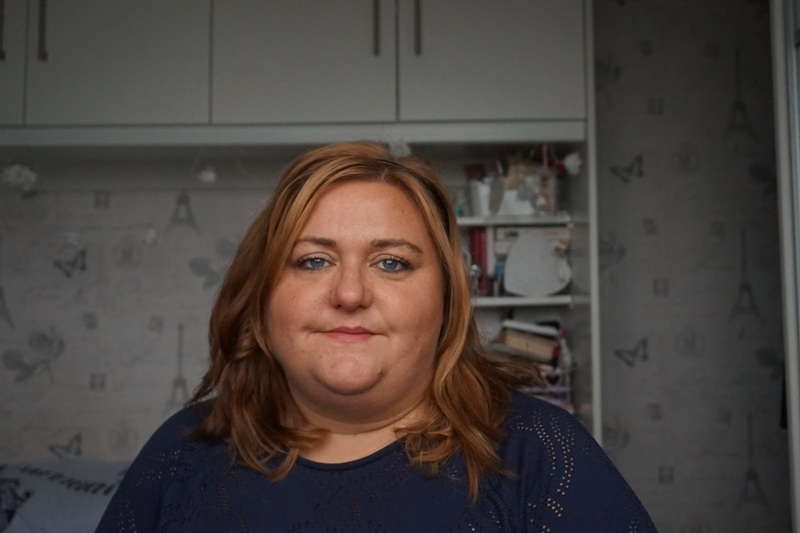 Superdrug Killer Volume dry shampoo – I’ve been trying volumizing sprays for a while now and my favourite one from Toni & Guy has been changed from just a texture spray to a dry shampoo. It feels like a lot of money to spend on a dry shampoo so I have been looking for more budget friendly alternatives. This was also £1.99 (and buy one get one free). Very nice. The pure clay detox mask looks very interesting - I'm curious to find out how it works. You'll have to keep an eye out for my empties once i've used it all up. There's a whole world of fuss about clay at the moment isn't there - I'm in the market for a new face mask so I'm tempted to give these a try! there are some really good things in Superdrug. I love dry shampoo as my hair is so thick that I hate washing and drying it. i used to wash my hair daily but now i'm down to twice a week but with the aid of dry shampoo. I've not tried the L'Oreal one yet but I am a huge fan of clay masks. the clay mask looks great and might be a cheaper alternative to my Origins clay mask. I haven't had chance to use this one yet, but the other two are really lovely. The Pure Clay mask looks really intriguing - love these kind of masks! I love the superdrug own dry shampoo. I use it on both melodys hair and my own. i find it does the job and doesnt make my scalp itch. I like charcoal masks as well as they are great for getting rid of the impurities in the skin. I will have to try out the Loreal one! I love Superdrug, I find so many great bargains in there and they have a really good make up selection. What a great haul I love superdrug. I love the sound of the charcoal face mask!